My heart began to break as I read Rosie’s pleas for help when her adopted daughter went missing. I could feel her anguish and pain seer through every cell of my being. My knowledge of Rosie is not an intimate one; I’ve enjoyed her wit and repartee when I’ve had the occasional opportunity to watch her on the View, or when I bore witness to the classless Rosie bashing during the Trump wars. I was also privy to her marriages and subsequent divorces as well as her very public adoption of her five children, especially Parker, who was her first. 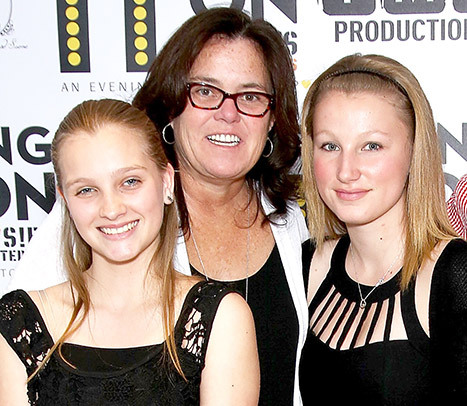 From day one, Rosie spoke frequently and lovingly about her children. Her commitment to them was undeniable. I don’t know what kind of mother Rosie was or is. I couldn’t even venture a guess. I am sure there are many armchair quarterbacks who cannot fathom why her 18 year old adopted daughter made this decision to reunite with her birth mother and without understanding the complexities of human dynamics, it must be something Rosie did, it must be her fault. But what I have witnessed over and over again is the undeniable bond of DNA. Whether it’s a hole in a child’s sole that is created when, for myriad reasons, a birth mother makes the decision to put her child up for adoption, the sense of rejection, or feeling that “I’m not good enough” begins to insidiously spread like an intangible fever. For those of us on the outside looking in, it does seem unfathomable especially when the child is surrounded by a loving family, “stuff” and all of the trappings of a good life. Wanting to know who you are, where you come from, who else looks or thinks like you is a basic human need. Sometimes it’s just curiosity and once that curiosity is satisfied, returning unscathed to the adoptive family is commonplace. Sometimes the relationships between the birth parents and adoptive parents morph into a hybrid family which can work if all parties can respect the new boundaries, and sometimes the now grown child decides to develop a relationship with their birth family and for reasons only known to them, distance themselves from their adoptive family. It was reported that Chelsea O’Donnell’s birth mother was a former heroin addict. She blames the decision to give her daughter up for adoption on her husband. If the heroin addiction is true, maybe that was a wise decision. It was Rosie who was there when Chelsea learned to walk, talk, ride a bike, and attend her first day of school. It was Rosie who stayed up with her at night when her temperature began to climb or when she was awakened from a nightmare. The sense of betrayal Rosie must feel is palpable, undeniable and certainly understandable. It is the fear of every adoptive parent when their adopted child utters that first longing to search for their birth parents. Wanting to acquiesce to their child’s wishes, while stifling their own fears, must be a battle that rages within most adoptive parents. I am sure there are many adopted children who have little or no desire to search for their biological parents or once they do and their curiosity is satisfied, are happy to return back into the fold of their “real” family. The jury is still out on Chelsea. Once the bloom is off the rose regarding the fantasy she has created, she may happily return home. At the very least, she may morph into a new normal, and be able to blend both of her families. There is no right or wrong in this situation, it just is. The human psyche is complex and unique. Unless we’ve walked that same path, we don’t know what that particular experience feels like. No judgments, no blame, no recriminations. « Say It Ain’t So….